Veterinary medicine has a proud and rich heritage of serving and caring for animals. The science of veterinary medicine grew from and continues to parallel the human medical field enabling veterinarians to practice “human level” care on animals. Historically, the agrarian need for healthy horses for transportation and livestock for food created the demand that has allowed the profession of veterinary medicine to prosper and to become one of the best professions on the planet. Today, the science and technology of veterinary medicine continues to advance and to incorporate many life-saving cures and preventions for disease into the care of animals. As our science advances, so does the care of animals and recently the care of animals has been re- defined as the care of pets. The agrarian lifestyle of the past has been replaced today by a new “bond-centered” lifestyle where pets are a part of the family. Pets have made a historic migration from the backyard to the bedroom, from the kennel to the couch and from guarding the farm and flock to providing companionship, devotion and affection to the family. It is this environment where Safari thrives. Safari represents a proactive, preventative approach to veterinary medicine; delivered through a team approach focused on the client’s needs for exceptional pet care. America has experienced three eras or “world views” that have predominated as the modes of life or modes of successful existence over the past 200 years. These are the Agrarian world view where farming is the principle means of sustenance for a family the Industrial age and the Information Age. The Agrarian mode was all but eclipsed by the industrial world view with the advent of the machine and factory as the principle mode of work and wealth creation. Following the mechanistic industrial age is the Information Age where the management of knowledge creates and maintains wealth and prosperity. We find ourselves today within the transition from the industrial age to the information age with the agrarian mode of sustenance faded into the past. 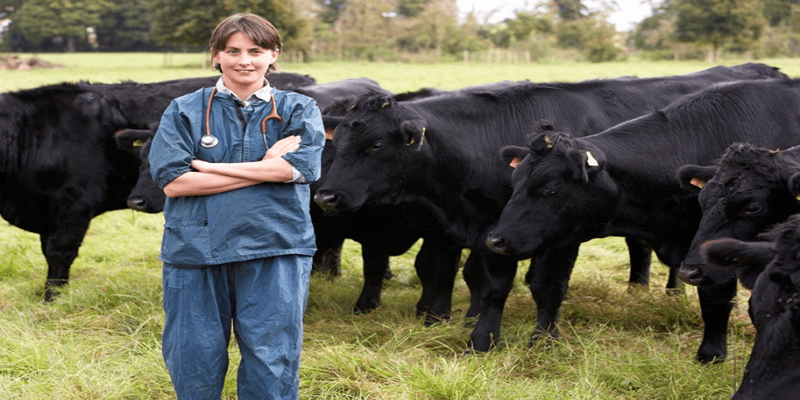 Veterinary medicine, however, is steeped in the Agrarian world view rendering certain values and ideals that while successful in the agrarian model are not efficient in today’s information driven society. Veterinary medicine has agrarian roots with the purpose of providing a healthy source of food and transportation to humans. This large animal focus was created because most veterinary schools were built to provide care for the human food chain. In this utilitarian regard, care for animals is economically driven with the value of the animal as the key determinant to the level of care given to the animal. Many vets run their practices in an effort to be very sensitive to the amount of time it takes to get a client in and get them out. This system focuses on efficiency and is a by-product of the machine age. Today’s information age client wants efficiency but the focus is on the delivery of high value information – information about their pet, their pet’s illness, their pet’s wellness as of that day and time. This information must be customized for their pet today; not information off the Internet that may be about “a pet” or “a disease” but information about their pet NOW. Safari delivers time sensitive reports that are customized for each pet. These reports are printed. Printed reports allow the client to take them home to explain to the other pet caregivers in the family the veterinary doctor’s recommendations. The current and misdirected view of veterinary success is focused solely on successful medical and surgical applications of animal care. This vision is a default value that is rarely questioned, or challenged because it has its origins in the historical model of veterinary practice where the successful veterinarian “did things” to “fix” illnesses and injuries within the agrarian cultural backdrop. This historical agrarian/mechanistic contextual environment helped shape the view where “work” was defined by things you did. “Real work” made you physically tired, accomplished real results or produced real goods. Safari understands that we are in the Information Age and our product is to share Information. We believe that “He who has the smartest client – Wins!” Our job is to create smart clients! Successful veterinarians in the historical model performed “real” tasks that applied their medical and surgical knowledge to the animals, fulfilling the vision of what veterinary practice should be. This vision however created a veterinary business model that limits the number of patients that a veterinarian can successful serve through the dynamics of how the knowledge is disseminated, one-on-one from veterinarian to client or animal. This single-file workflow and orientation served the large animal practitioner well, but is not efficient enough for the small animal practice to economically succeed. Nevertheless, it is the basis for what is taught in most veterinary schools today. Safari uses a multitasking work flow where one veterinarian working with a team of technicians can better service client’s needs. This multitasking work flow is the hallmark of the Safari System.